Read about the DPC board members: our secretary, deputy secretaries of our groups and our general counsel. Chris was appointed Secretary of DPC in December 2014. He leads the Victorian public service in advising the Premier and the Government of Victoria. Chris was Director-General of the New South Wales Department of Premier and Cabinet from 2011 to 2014. He was Chief Executive of the South Australian Department of the Premier and Cabinet from 2009 to 2011. Deputy Secretary, National Reform and Climate Change Group (2007-2009). Chris was made an Officer of the Order of Australia in 2017 for services to public administration, innovative policy development, sound governance and the delivery of reform in the areas of training, education and disability. Chris holds a Bachelor of Arts and a Bachelor of Laws from Australian National University. 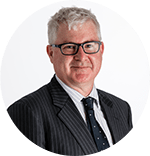 Before joining DPC, Toby was the senior executive adviser to the Chief Judge of the County Court of Victoria. He was also a non-executive director on the boards of the Victorian Managed Insurance Authority and the Emergency Services Telecommunications Authority. Toby has worked in a range of senior roles across the Victorian Government. He holds degrees in law, arts and corporate governance. He is also a graduate of the Australian Institute of Company Directors and has completed the Senior Executive Fellows program at Harvard University’s Kennedy School of Government. In late November 2018, Matt was appointed Acting Deputy Secretary, Economic Policy and State Productivity to lead the work on the State economic, transport and resources agenda. Prior to this, Matt held the role of Executive Director, Veterans, Economic Development and International and until early July 2017 Matt was Executive Director Family Violence and Service Delivery Reform. In this role he led the whole of Victorian Government delivery of the 227 recommendations arising from the Royal Commission into Family Violence as well as development of the ‘10 Year Plan to End Family Violence’. 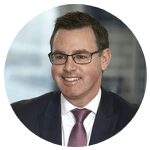 In addition to the above Matt has also held senior executive roles in infrastructure, planning and major projects where he led work to develop a planning reform agenda as well as the establishment of Infrastructure Victoria including its requisite legislation. A period as Senior Consultant at Ernst & Young provided Matt with another career experience in the private sector. Matt holds a Bachelor of Engineering (Hons) and Science from the University of Melbourne. Jeremi was appointed Deputy Secretary, Governance Policy and Coordination Group in August 2018. Prior to this role, he was Executive Director of DPC's Strategic Communication, Engagement and Protocol Branch. He previously held the equivalent role at South Australia's DPC, leading that state’s communication, community engagement and citizen participation agenda. Jeremi has held various executive positions in the Victorian public service over a 15-year period. He was CEO of a registered training organisation and started his career as a journalist. He lives in Bendigo and has worked extensively in regional Victoria. He holds a journalism degree from the University of South Australia and is a Graduate of the Australian Institute of Company Directors. Kate has more than 20 years’ experience in the Victorian Public Service beginning as a graduate in Social Policy for the Department of Premier and Cabinet in 1996. She was previously the Deputy Secretary, Police and Crime Prevention at the Department of Justice and Regulation and earlier was a Deputy Secretary at the Department of Environment, Land, Water and Planning. Kate has an Honours Degree in Economics, and a Masters of Environment and is an IPPA fellow. Brigid was appointed Acting Deputy Secretary, Fairer Victoria Group (FVG), in November 2018. This group oversees Equality, Veterans, Multicultural Affairs, Women and Youth. Brigid has previously worked as Executive Director in the Department of Premier and Cabinet, leading advice in the areas of Aboriginal Affairs Policy, including Treaty and self determination, healthy policy and reform and inter-governmental strategy. Brigid was previously the Director of Education and Justice Branch within DPC, and also spent some years working at the Treasury in New Zealand, including helping to establish the government’s data analytics capability and contributing to the “Investment Approach” to improving welfare and employment outcomes. 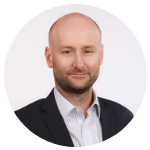 Matt was appointed to the role of Deputy Secretary, Industrial Relations Victoria (IRV) in April 2015, in what was then the Department of Economic Development, Jobs, Transport and Resources. Matt joined IRV, in the Department of Innovation, Industry and Regional Development, as a senior policy adviser in 2004. He had previously been adviser to the Hon Rob Hulls, Minister for Industrial Relations. He became director of IRV’s Public Sector team in 2005 and in 2009 was appointed Deputy Secretary, Workforce Victoria (formerly IRV), in the Department of Business and Innovation. Matt has overseen the development and implementation of a range of significant legislative and policy reforms, including labour hire, long service leave and public sector employment protections. He has steered the Victorian Government’s public sector industrial relations strategy during three rounds of enterprise bargaining, and led the Government’s initiation of legal proceedings in the Fair Work Commission to protect the supply of essential services. He has also represented the Victorian Government in consultations with the Commonwealth Government on a range of federal industrial relations proposals, including the Fair Work Act.